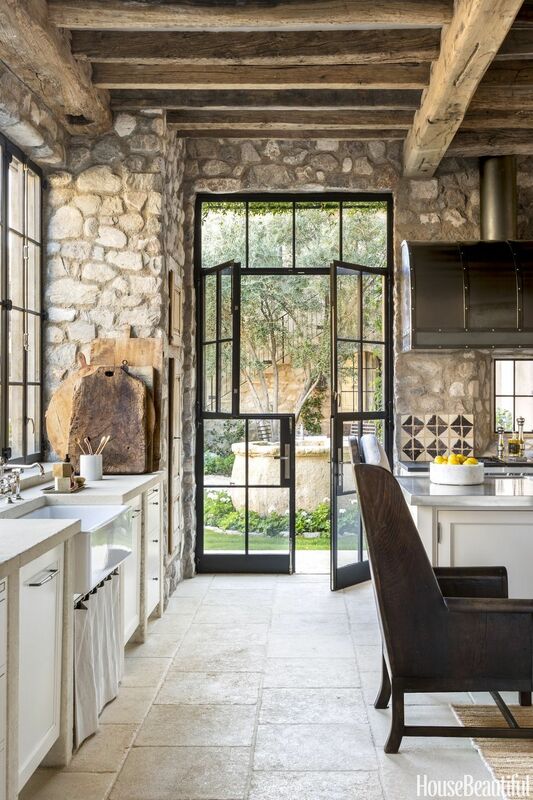 I said this before in my Sunday 7, but I'm loving the resurgence of stone in design. For a while, stone had a bad rap because you'd see it overly used in really kitschy, cheesy ways. But the natural, organic material is a beautiful way to bring the outdoors in. To us, that is always an important part of the design process. If you choose to use stone in a room, it helps the space feel natural, soothing, inviting, and anything but boring! We love the way natural stone brings pattern and texture to a space while keeping with a neutral, versatile palette. If your design style is on the simpler side, but you're aiming for something full of texture and dimension this is the way to go. Loving natural trends? 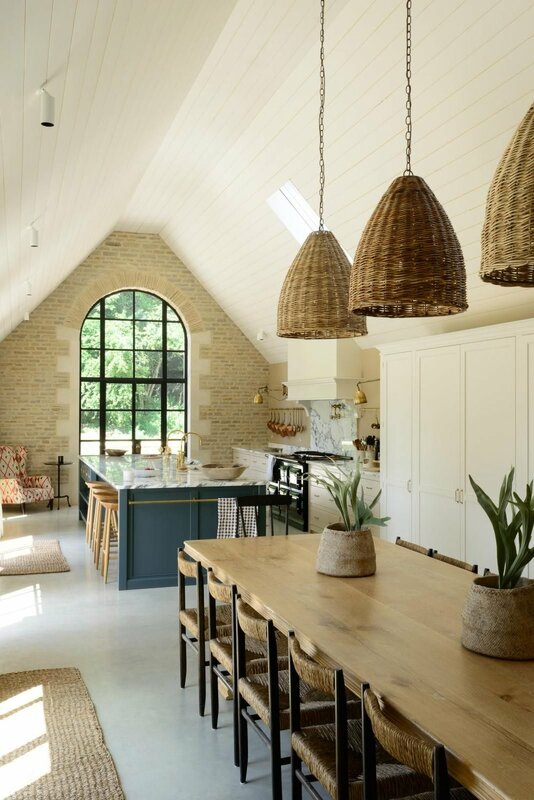 See more by checking out our round ups on Raw & Natural, Stained Cabinetry, Natural Wood, and Industrial Lighting!